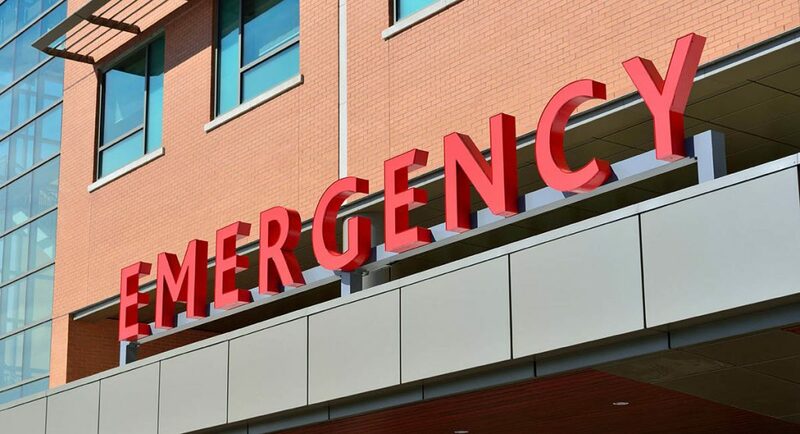 If a restaurant manager learns that her customers’ demand for drinks is going to nearly triple in the next 40 or so days, she immediately starts formulating a plan to meet that need. 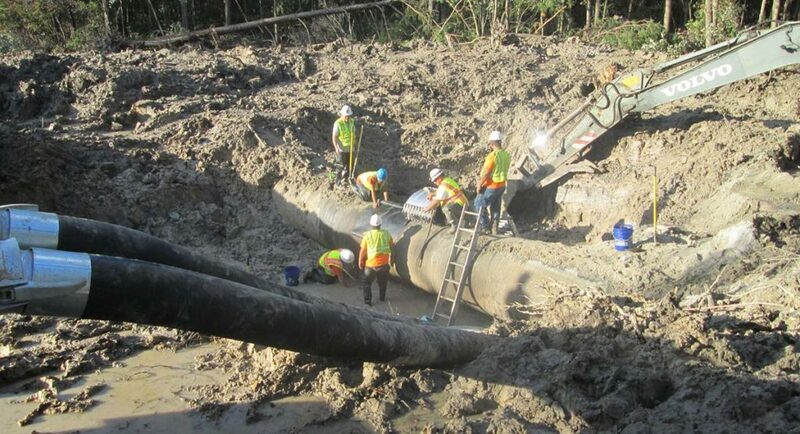 Likewise, if a water utility learns that its customers’ demand for water is going to nearly triple in the next 40 or so years, a detailed planning process is necessary to ensure that water supply needs can be met. 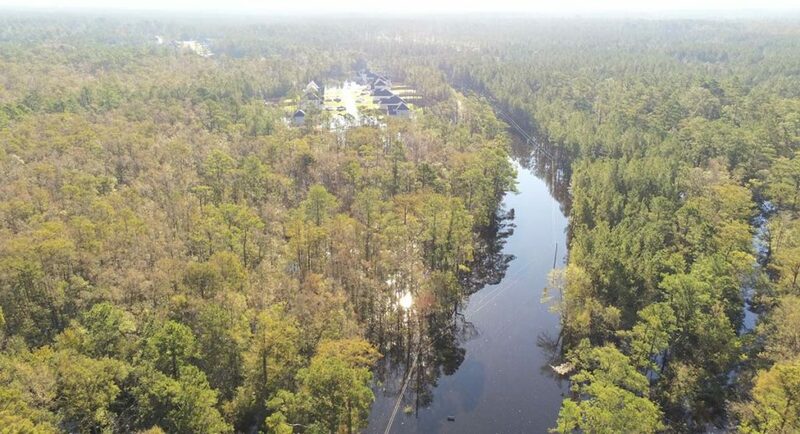 Read about how three water utilities in southeastern North Carolina dealt with that situation to ensure a future water supply. Click here or on the image to the left for the complete article, which was published in the Winter 2018/19 issue of NC Currents. 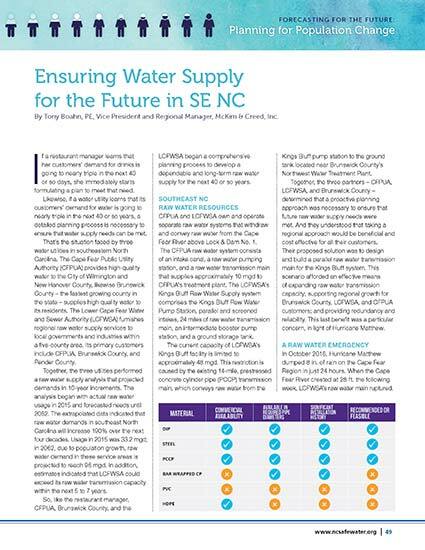 NC Currents is published quarterly by NC AWWA-WEA.